You go out of your way to keep your skin looking its best, but you may be doing more harm than good. You will probably be surprised to learn how many parts of your daily routine could actually be damaging your skin. Using the right products is key in your skin care routine, but too many products may be worse than none at all. 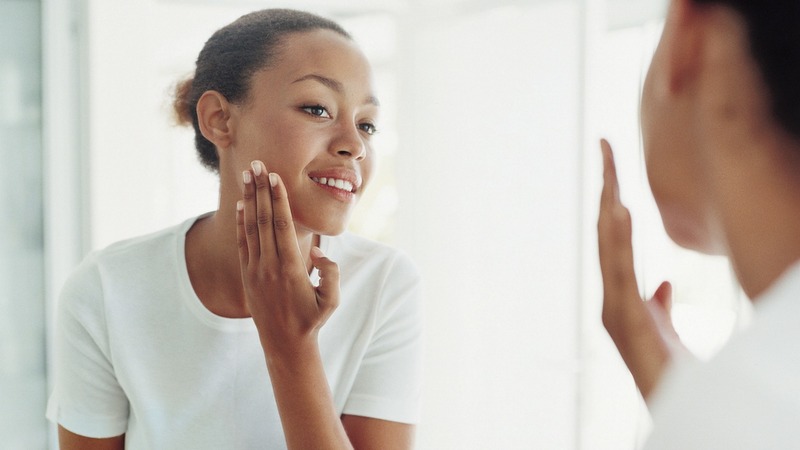 Overindulging in cleansers, toners, exfoliaters, serums and creams can actually irritate your skin. You should be applying a moisturizer to your face within one minute of washing it. If more time than that passes, your skin will begin to dehydrate. Most skin products are formulated to help certain types of skin, so seek out the products that were made with your skin in mind. If you have oily skin, using a cleanser formulated for dry skin types isn’t going to do you any favors. Ah, we all know the sweet relief of popping an annoying pimple, but doing that will only spread the inflammation and lead to scarring. Apply a topical acne treatment, and then keep your hands off. Your skin creates protective oils and barriers that it needs to stay healthy, and using harsh cleansers washes them away. Instead, go with something gentle for your face, and don’t use it more than twice a day. For your body, pick a product like Dove Dry Oil Moisture Body Wash, formulated to replenish your skin’s natural nutrients, and use it every time you shower. We all want fresh and glowing faces, and exfoliants seem to do that, but they are abrasive, and using them too often can actually damage your skin. Exfoliating scrubs should be used only once or twice a week. When the summer arrives, we all crave that sun-kissed glow. But tanned skin now just ups your potential for early aging and cancer down the road. Limit your time in the sun, and use sunscreen when you’re out. We all know smoking does a ton of damage to the inside of your body, but it also has a negative effect on your skin. Smoking works on the skin from the inside out, making it look aged and tired long before it should. When you don’t sleep, your body gets stressed, and when your body gets stressed, it releases cortisol. Cortisol causes inflammation throughout your entire body, and that includes your skin. A good night’s rest will calm your nerves and your skin. No amount of moisturizer will help your skin if it’s drying out from the inside. Drink plenty of water, and avoid overindulging in alcohol, as it leads to dehydration. There are some nights when carrying out your whole beauty routine just seems like too much. We’ve all been there. But when you don’t wash your face before bed, not only are you letting all that makeup clog your pores, but you’re letting all the dirt and grime you’ve come into contact with throughout the day have eight more hours on your face. Too many nights of that, and you’ll end up with acne and wrinkles. Taking time to scrub doesn’t seem like such a chore now, does it?